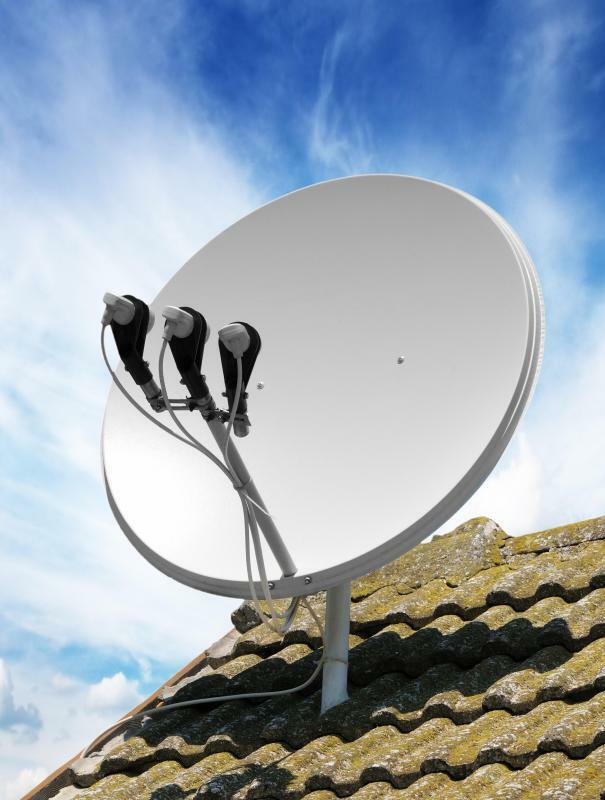 How do I get the Best Digital TV Reception? Mounting an antennae on a roof or in an attic can improve digital signal quality. 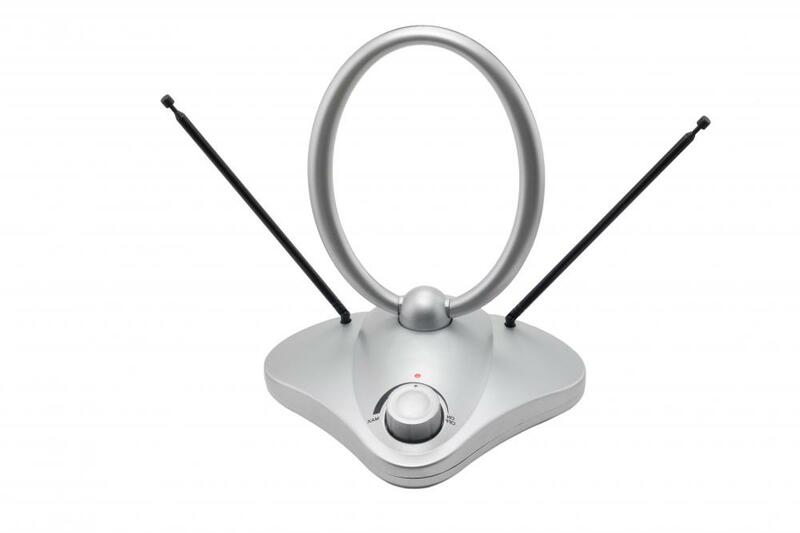 Indoor digital antennae look similar to analog antennae "bunny ears.". 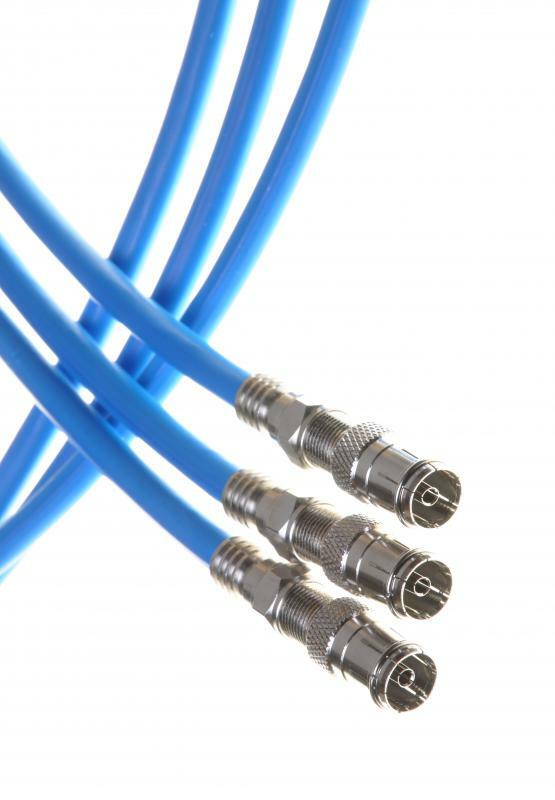 Coaxial cable is typically used during cable TV installation and for some audio and visual equipment. 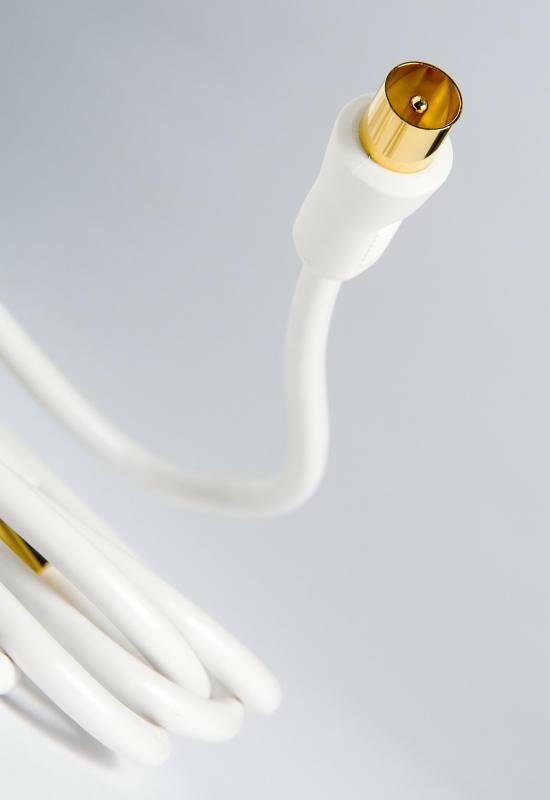 Experts recommend using a 75-ohm coaxial cable for the best digital television reception from an antenna. While the picture and sound quality of digital TV is generally much better than the analog signals that had been in use since the 1950s, the system is not without its problems. Analog signals allowed people to receive television broadcasts even if the picture quality was low, grainy, or fuzzy; with digital signals, you usually either have a crystal clear picture or nothing at all. You can typically get the best digital TV reception by making sure you have the correct antenna and that it is positioned correctly. Digital signals cannot be viewed on an analog TV, so if you have an older television, you'll also need a converter box. Getting the best reception hinges upon a number of factors, some of which can be controlled and some of which cannot. For instance, in times of inclement weather, digital signals may disappear entirely. Also, in rare cases, a person may live so far from the broadcast source that he or she will receive no signal no matter what antenna is being used. Except in rare cases, if you live within range of a digital transmission tower, usually a maximum of 60 to 70 miles (96 to 112 kilometers), you should be able to receive a signal, so any reception problems should be solvable. If you are experiencing poor digital TV reception, you should first make sure that your antenna is capable of receiving both Ultra High Frequency (UHF) signals and Very High Frequency (VHF) signals. Indoor antennas have several different styles, but traditionally, VHF antennas look like rods or the "rabbit ears" that most people are familiar with, while UHF antennas are often shaped like a loop or bow tie. Having only one or the other type is often not sufficient to receive the best reception. For people who live in areas where digital TV signals are strong, an indoor antenna may be all that's needed for good reception. Digital signals come from specific directions, so you may need to adjust what direction your antenna is facing so that it is pointed toward the transmission tower; if you're receiving signals from more than one direction, using multiple antennas may allow you to avoid repeatedly repositioning the antenna. It may help to get the best reception if you place the antenna in a high location, such as on top of a book shelf, where movement in the room won't interfere with the signal; placing the antenna near a window can also help. Interference from other electronic devices can also be a problem, so if you keep the antenna on top of the TV or near other equipment, it may prevent you from getting the best digital TV reception. If you live a moderate distance from the tower, you may need a larger antenna placed in your attic or an outdoor antenna that can be aimed in the direction of the tower for the best reception. When your reception is consistently bad, try raising the antenna a few feet (a meter). Make certain it is located away from power lines that may disrupt the signal. Trees, hills, and large buildings will block digital signals, so your antenna should be up high and placed on a sturdy mast to allow for a line-of-sight signal reception. Strong winds can move an outdoor antenna, so you'll want to make sure that it's attached firmly, and adjust it after bad weather, if needed. In addition to having the correct antenna, you'll need to make sure that it is connected to your television correctly to get the best reception. If you own a newer television, it probably has a built-in digital tuner; you'll just need to attach the antenna to the television. Older analog TVs require a digital-to-analog converter box, which usually must be purchased separately. Most experts recommend using 75-ohm coaxial cable to attach the antenna for the best reception; this cable is shielded and will help eliminate leakage and other possible reception problems. This type of cable is commonly marked as RG-6; furthermore, cables with a solid copper core work much better than cables whose core is merely copper clad. Also, never loop or coil the coaxial cable, as this will degrade signal strength. If your digital TV reception is still of low quality, you might want to purchase a signal amplifier. Digital signals degrade as they travel through a coaxial cable, so if your signal was weak to begin with, an amplifier may help. One type, a preamplifier, is mounted on your antenna mast, as close to the antenna as possible. An amplifier won't let you watch a channel that you don't receive, however, and it can actually cause digital TV reception problems if the signal you receive is already strong. Once you've set up or moved your antenna, it's a good idea to have your television or converter box rescan for channels. This process automatically looks for new signals that you may now be able to receive. It may be necessary to do this any time you move your antenna. In some cases, it may be necessary to perform what is called "double rescanning." This erases all data saved in the converter box or television and reprograms it. To do this, you'll need to disconnect the antenna and scan for channels. When completed, the TV or converter should be unplugged for at least one minute; the antenna can then be reattached, and the TV connected to the power. A second scan should then be performed. For some people who live too far away from the digital transmitters or who cannot eliminate sources of interference like buildings or mountains, an antenna simply isn't an option. If this is your situation, you may want to consider an alternative, like digital cable or digital satellite. Although they cost more, you may find that they are more reliable or receive a stronger signal. Many television networks also offer programming over the Internet, so if you have a fast Internet connection, you may be able to stream shows online. What Is a Digital TV Amplifier? What Is a Digital TV Signal Booster? 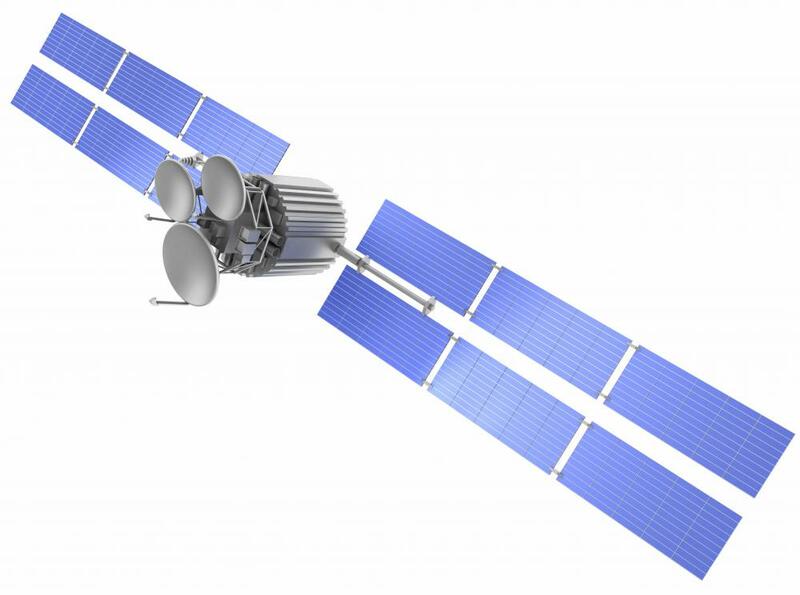 What Is Digital Satellite TV?